A team of researchers from the School of Marine and Atmospheric Sciences (SoMAS) concluded that many endangered species of sharks are still commonly found in the shark fin trade despite international protection. In 2014, the Convention on International Trade in Endangered Species of Wild Fauna and Flora included scalloped hammerheads, smooth hammerheads, great hammerheads, oceanic whitetips and porbeagle sharks as endangered species that needed stricter international trade protections. CITES is an agreement signed by 183 governments and organizations from around the world that promotes the protection of endangered wildlife, including sharks. Each appendix within CITES represents a higher level of threat to a species, with Appendix I being the most threatened. Many countries in CITES have passed laws mandating permits to trade certain shark species and banning finning — the act of removing a shark’s fin and not keeping the rest of its body. Carl Safina, endowed research chair for nature and humanity at SoMAS, has studied ocean wildlife for decades and pushed for legislation in the mid-90s to protect sharks in New York and the United States. An estimated 73 million sharks are killed, annually, for their fins. The types of shark species that are targeted tend to reproduce at slower rates, increasing the rate of the population’s decline. In an attempt to protect sharks off the New York coast, Governor Andrew M. Cuomo signed a law in 2013 banning the sale of shark fins. 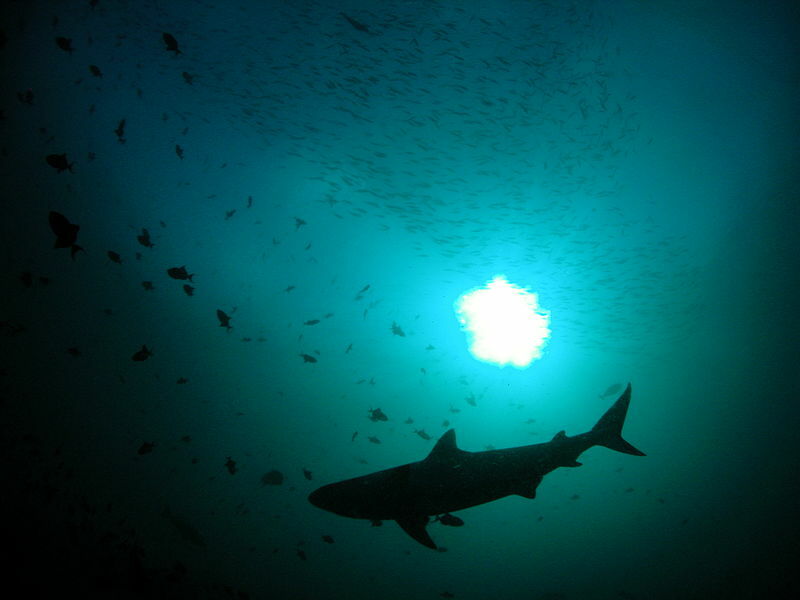 Since then, there have been three major discoveries of illegal shark fin trading in New York. Most recently, in April, New Kam Man Supermarket in Manhattan’s Chinatown was caught storing shark fins in its basement, according to a press release from the New York Department of Environmental Conservation. New York State Assemblyman, Steve Englebright, has been an ardent supporter of legislative protections for the dwindling shark population off the coast of New York. The international shark trade is split into two commodities, explained Diego Cardeñosa, a SoMAS Ph.D. student and research assistant. The first is shark fins, which are mostly consumed and are seen as a high economic status symbol in Asia. The second is shark meat, which is mostly exported to South American countries like Brazil, which is the continent’s largest shark meat consumer. Recently, Cardeñosa and the team found that countries trading with Hong Kong were underreporting their shark exports listed on CITES, mostly due to inefficient processing and difficulties in quickly identifying shark species. Since more endangered shark species were listed in 2014, Cardeñosa has been researching ways to improve enforcement of these international regulations in Hong Kong. “There’s not one single bullet, you have to tackle the problem in all different angles from public awareness, science, law enforcement and fisheries,” he said.